Can Soy Keep the Mind Sharp? Older women who have gone through menopause often complain of forgetfulness and slow thinking. The decline in estrogen levels in later years can also lead to thinning bones and rising cholesterol. In recent years, many women have turned to soy supplements, a natural alternative to estrogen and/or progestin, as a safer alternative to hormone replacement drugs. But, a new study concludes, soy may do little to stave off the mental decline and other ills that can come with age. Found in soybean products such as tofu, tempeh, and soy milk, and sold as dietary supplement pills and protein powders, soy contains substances called isoflavones that mimic the effects of estrogen and may have numerous benefits for health. In China and other Asian countries where women eat a lot of soy, for example, rates of breast cancer are much lower than in western countries. Whether this is due to soy or other factors is not clear. Some studies have suggested that soy may reduce the uncomfortable hot flashes that accompany menopause and protect against chronic ailments like heart disease, high cholesterol, and osteoporosis (brittle bones). In the current study, researchers in the Netherlands enlisted 202 women aged 60 to 75. Half were given 25 grams of a protein-rich soy powder to add to their daily food and drinks. The others took a look-alike placebo powder. Neither group knew which they were getting. They took the supplements every day for a year. Their mental and thinking functions were tested at the start of the study, and again at the end, a year later. They were given a series of memory tests and assessments of language fluency and word and number recall. They were also given physical tests to check bone density and cholesterol levels. At the end of the study, cognitive skills were similar in both groups of women. Those who were taking the soy did a tiny bit better on memory tests than those who took the dummy powder, but the results were not considered statistically significant. Similarly, there were no significant differences between the two groups in terms of bone density or cholesterol levels. Still, there is mixed evidence concerning the effectiveness of soy in improving mental abilities and concentration. A few studies in animals have shown that soy may have benefits for the brain. Other studies in people suggest that soy may improve both long-term and short-term memory, and also have beneficial effects on bones and heart and cholesterol health. In one study of men and women college co-eds, for example, just ten weeks of a high-soy diet led to better performance on mental flexibility tasks. However, these earlier studies were smaller and less rigorous than the current one. The authors note that soy may be more effective in younger women. The women in the current study were 60 and older and had been through menopause an average of 18 years earlier. It is possible that soy may boost brain function and have more benefits for younger women in their 40s and 50s, before menopause. Researchers are just now beginning to explore the benefits of soy and other substances, including hormone drugs like estrogen, in this younger group. In addition to soy, other dietary supplements have been proposed as a remedy for age-related mental decline or even the more serious memory deficits of Alzheimer’s disease. These include the antioxidant vitamins C and E, as well as substances such as huperzine, which mimics the effects of certain Alzheimer’s drugs. However, research on vitamins and other dietary supplements is ongoing and remains unproven. In addition, if you do try supplements, it is important you let your doctor know, as some may interact with prescription drugs. 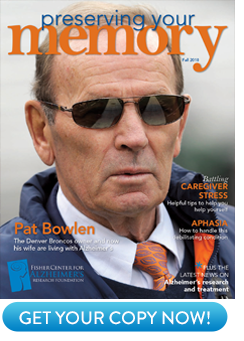 For more on keeping the mind and memory sharp into old age, visit www.ALZinfo.org. Sanne Kreijkamp-Kaspers, MD, PhD, Linda Kok, MD, PhD, Diederick E. Grobbee, MD, PhD, et al: “Effect of Soy Protein Containing Isoflavones on Cognitive Function, Bone Mineral Density, and Plasma Lipids in Postmenopausal Women: A Randomized Controlled Trial.” JAMA 292:65-74, July 7, 2004, Vol. 292, No. 1.